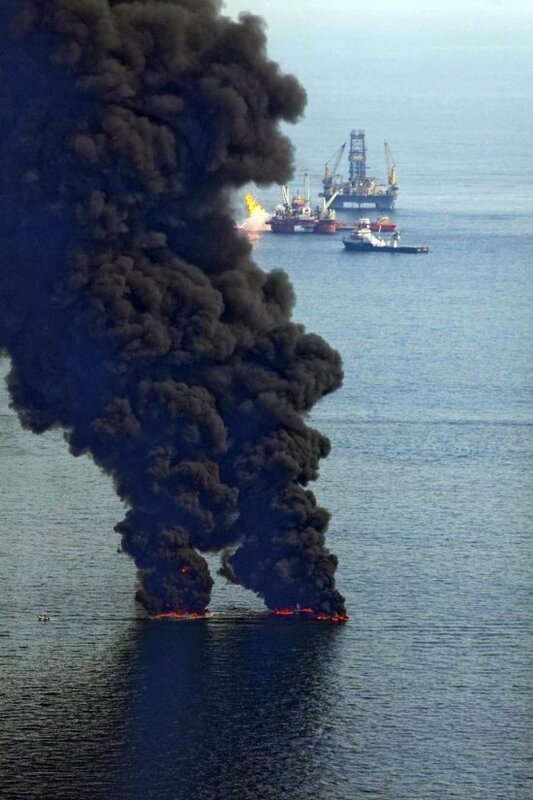 Following the explosion and collapse of the Deepwater Horizon drilling platform on April 20, 2010, the world watched in helpless horror as an environmental catastrophe unfolded. It was alarming at first to think of the thousands of gallons of oil, gas, and silt spewing unbridled from the ground. And yet, there was a sense that although it would be dreadful for many, it would be contained and ultimately “fixed” once the right technology was applied. Yet as days now grow into weeks, as all efforts to stem the flow so far fail and the estimates of daily contamination skyrockets, abhorrence and dismay turn to rage. Images of brown tendrils of oil drifting among boats desperately dragging collection booms, apparently uselessly, behind them illustrate the helplessness of the workers who struggle to combat the disaster with outdated equipment. Blackening beaches and birds overwhelmed by oil drive home that this catastrophe cannot be avoided and will not go away. While it is true that vast amounts of oil leak naturally from fissures all over the planet, nowhere has the amount of oil so quickly flowed into the seas in so localized a deposit. 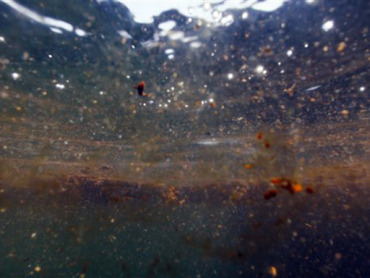 The pollution is spreading throughout the interconnected oceans. Inevitably, it will affect all the sea creatures in one way or another. This is a global catastrophe with effects well beyond the Gulf and the surrounding countries and populations. There will be financial effects worldwide, and environmental effects also will spread steadily throughout the biosphere. As such, everyone on the planet has a stake in how the disaster is managed. There are many actions that we can take to advance the healing of the effects of Deepwater Horizon. Not all are easily palatable, given the state of our social outrage. Even as we grieve the effects on the Gulf and wildlife that depend upon it, we also must look forward into the possible futures unfolding. How we respond can heal or destroy. Participation in the torrent of curses projected upon the management and organization continues the darkness. There is enough of that. Legal and political responses are in place to hold accountable those who created the disaster. Let them do their work while we do ours. It is better to focus light and energy on opening the way to healing and enabling solutions. Powerful studies show that one person holding love for another will offset the ill-will of dozens. Let go of the outrage and instead allow the balancing strength of spirit to pour through you for the good of all. Not everyone in the Tribe can act in the same way and be effective. For all of us to descend upon the coast and begin cleaning birds will clearly not be useful. We must remember that, as part of a global Tribe, we all have our roles. It is the role of the Elders, the Wisdom Chiefs, to hold the vision of a healed Mother Earth, and remind us that She is really not in danger from this event. She survives hurricanes, floods, volcanoes, and all other kinds of natural and unnatural disasters. Everything will return to perfect balance in time. They hold the Eagle vision. The Medicine Chiefs can pray and hold in sacred safety our brothers and sisters of the sea, as well as our human relations. Not all will survive, and the way ahead is long. The many who practice the medicine way can best serve by daily practices that include the healing of all in the wake of the disaster. The Warriors and War Chiefs are those who act directly in service and defense of the Tribe. They are the hands-on workers, coordinators, and planners. They are the front line of the action and all those who support them physically, financially, and spiritually. We must also remember them and care for their healing, as well. They are fighting a war for us, and as such, they are in the heart of darkness and need our consistent blessing and assistance. It is not productive to send anger and disparaging thoughts to the BP employees and contractors working to contain the rupture. Thoughts are real. We can choose to hold these engineers, divers, and workers in loving hope and trust, or we can blame them for being incompetent. They, too, are affected by the disaster, and they are the ones working diligently night and day to find answers and solutions to the problems. They are also our Warriors, the most experienced and intelligent workers to deal with this difficult problem and access to the most advanced technologies available. Surrounding these Warriors with the darkness of hate and misplaced blame serves only to make things more difficult. Hold them in love and light instead, and see their way clear to solutions, strength, and perseverance. We must remember our place in the web of life. Because we rely so heavily on the bounty and resources of the Earth, we must also be the caretakers. Deepwater Horizon reminds us that it is up to us whether we deplete and destroy the very foundation of our existence, and so destroy ourselves. And not only us. We have the power to take with us millions of other animals and plants, and to make our home uninhabitable to humans for thousands of years. Human dependence on resources like petroleum, natural gas, and coal will likely continue for many more years, regardless of how diligently we work to move to more sustainable energy resource. We must not become complacent about the many dangers hidden in mining and extracting them. As the human tribe, we are compelled by our own use of these resources to be diligent to control and eventually to eliminate our pollution of land, water, and air. 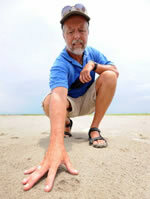 We may be experiencing the effects of Deepwater Horizon for decades, possibly for generations. We must decide how we will respond today and tomorrow, whether with fierce darkness or blazing light. We must learn from this and remember to leave our home in better shape for our children and our children’s children to the seventh generation. Images and information in this article are from various news sources, particularly Monsters and Critics. This entry was posted in General, Healing, Learnings, Society. Bookmark the permalink.